I offer various sponsorship opportunities for businesses for individual performances. 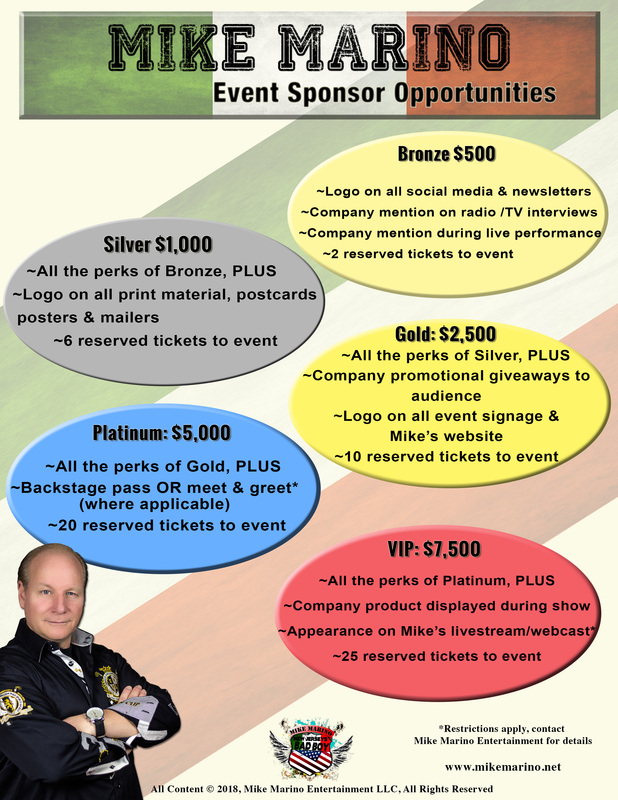 Sponsors will receive advertising perks depending on the level commitment (see list below). Sign up for my newsletter or I’ll have Vinny get the bat!